Stone age remains confirm that dogs of this type have been existence for at least 5000 years, but the standards for this breed date back only to the late 19th century. 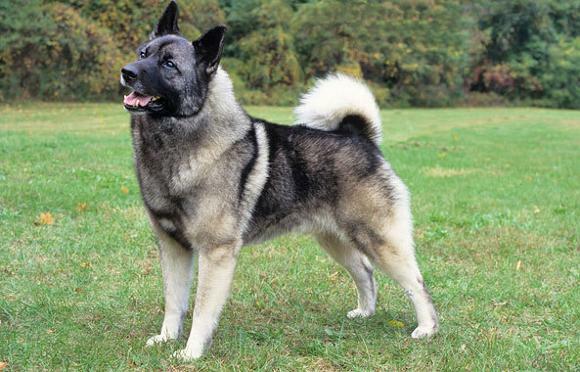 the most popular of the Scandinavian elkhounds, the Norwegian elkhound is a versatile breed used to hunt not only large game but smaller prey, as well as to round up farmyard fowl and act as a guard dog. Today it is primarily a gundog and companion breed. a steady, loyal dog, sometimes reserved with strangers, it is both alert and active and needs plenty of exercise to keep it occupied.